Miners have been using the fire assay technique to determine how much gold they have in their ore for several thousand years. People have tried various methods to automate the process, improve it, speed it up and bring the cost down but there has been no quantum leap in advancing the process, until now. Chrysos Corporation’s new Chrysostm PhotonAssay Technology could be the assaying process the industry has been crying out for and could redefine mineral calculation. 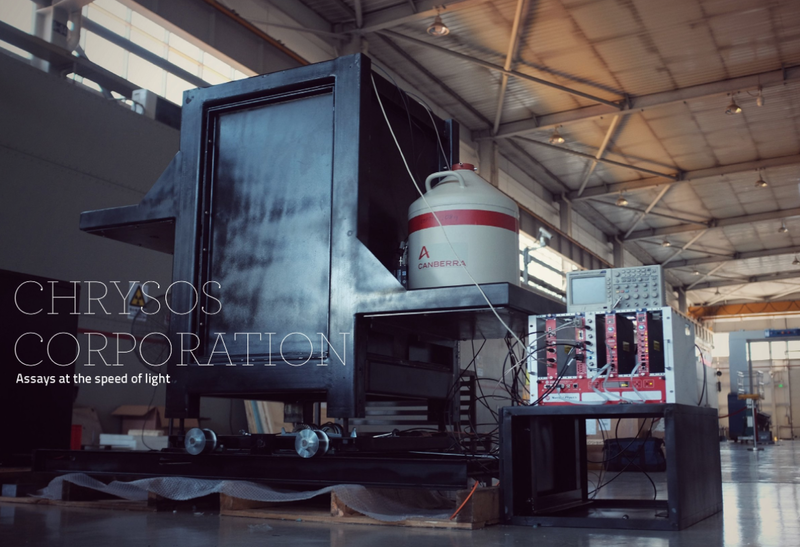 “Assays at the speed of light,” reads the tag line on the company’s website, which is one of the major differentiators for the new technology. CEO Dirk Treasure tells RGN that the Chrysostm PhotonAssay Technology is going to disrupt the gold mining industry, based on four primary attributes; it’s considerably faster than traditional fire assays, it’s non-destructive, it takes a larger sample size and its clean technology. The company was launched in 2016 and has been supported by RFC Ambrian, who have assisted in capital raising, corporate structuring and management services. Treasure says this relationship has been pivotal in getting the technology off the ground. The technology itself, specifically aimed at gold projects, uses high energy X-rays applied directly to the sample to ‘excite’ the gold atoms within a rock which give off a characteristic signature that can be detected to calculate metal grade. In terms of the speed of this process, the Chrysostm PhotonAssay Technology can turnaround the results of a sample analysis in just two minutes, compare that to the current fastest analysis for fire assays of six hours and you begin to understand the impact the technology could have. Treasure is aiming this technology at large and mid-tier gold project for which a potential 1% improvement in recoveries, as a direct result of improved sample analysis, could lead to substantially increased profits. As well as speed and efficiency, the Chrysostm PhotonAssay Technology is chemistry-free and non-destructive – any sample that is analysed will not be affected by the process. This allows retention of any processed samples leading to better quality control in the analysis and enabling re-processing of samples where necessary. Fire assays also employ lead in the process which requires blood checks for employees to regulate contamination levels by law. Meanwhile, Chrysostm PhotonAssay uses no hazardous materials and creates no waste. Treasure says that is a stance the mining industry has adopted over recent years where companies are far more conscious of the health and environmental impact their operations have. Finally, the technology involves very little sample preparation. It is fully penetrative and will confidently identify the level for each target mineral within a solid rock, slurry, conventional sample or even solution. For fire assays, which typically take a 50g sample, a miner has to ensure each sample is homogenous to provide credible results – which can be costly. The Chrysostm PhotonAssay Technology takes samples of 500g and requires little to no preparation. Chrysos is currently well underway with the construction of its first full scale Chrysostm PhotonAssay Max unit in a manufacturing facility in Beijing. The unit, due to be delivered back to Perth in December, will be capable of processing 650,000 samples per year, with a throughput rate of 80 samples per hour. Australian drilling company AusDrill is going to take the first unit when it comes to Australia and Treasure says the company has been a crucial partner for Chrysos across development, R&D and marketing. Once that unit is fully up and running it will undergo a rigorous validation and test programme to confirm its accuracy in comparison with fire assays. The technology has been tested on a small scale but Treasure wants to see it in full scale to give the company ammunition when it hits the market. Following testing, Chrysos will get the PhotonAssay technology accredited by mining industry standards, first under NATA as a lab technique to assure all the processes, then get JORC acceptance which will bring it up to the mining industry standard for resource analysis. Treasure expects that once the first unit is delivered from Beijing, the company can begin to bring in potential clients to show them the technology and demonstrate the tangible results Chrysostm PhotonAssay can offer. The marketing and sales campaign will be fully ramped up from October this year. The next year or two will prove to be absolutely critical for Chrysos as it launches the PhotonAssay technology. Moving from the theoretical idea of improving assaying techniques to seeing the technology fully operational in resource projects will be a major step towards PhotonAssay becoming an industry standard process for gold mining. “Getting the first unit up and running will be a real watershed moment for the company. Once we have it in Perth we can show clients the technology and run their samples through the units for free, show them the better analysis you get with our unit over existing technologies and show them the improvements with faster turnarounds and a non-destructive technique,” Treasure says. While Chrysos will initially be deploying units into assay labs in gold hubs, the real focus is to deploy these units onto major gold mining projects. A company with a major gold project which can get a small amount of recovery improvement through having a better technology can add significantly to the bottom line according to Treasure. Although the technology can be applied to nearly half of the periodic table, Chrysos has targeted gold projects because currently there isn’t a competitive technology doing the same thing in the market. Treasure says that while a lot of base metals would see benefits of PhotonAssay it is nowhere near what a miner would get on a gold sample. The commodity price downturn forced miners of all size to revaluate their operations. During the darkest times companies concentrate on efficiencies, cost savings and production improvements, however as the industry is coming out of the downturn, Treasure says the focus returns to technologies and improving the operation processes. In that vein, Chrysos has designed its business model around the current climate. The Chrysostm PhotonAssay Technology will be available on a lease model, with no upfront costs to clients. The technology is installed on site for free and the client only pays per sample they put through the unit. Treasure calls it a ‘no-risk’ option for potential clients. “The mining industry is notoriously slow at accepting new technology or innovation. We are making it as easy as possible for a company to do that without taking on risk and that is a key part of our business model. With the first unit under construction and due to be launched to the market in 2018, we see a wholesale transformation of mineral sampling to the PhotonAssay technique sooner than you think.